AMOUNT OF PRODUCT: 1.5 oz. PACKAGING: Comes in an opaque, black, plastic tub with a screw-on lid. SIZE: Fits in the palm of my hand. CONSISTENCY: Thick and creamy. Almost like cake frosting. SMELL: It smells like honey and bananas and cake frosting, all mixed together. COMPANY DESCRIPTION: A hugely popular cult product, Ultrabland is a thick, rich emulsion of essential oils, honey and beeswax to take off any make up or residue that has built up on your face throughout the day. Unlike most make up removers, Ultrabland leaves your skin feeling soft and nourished, thanks to soothing rosewater and iris flower extract. 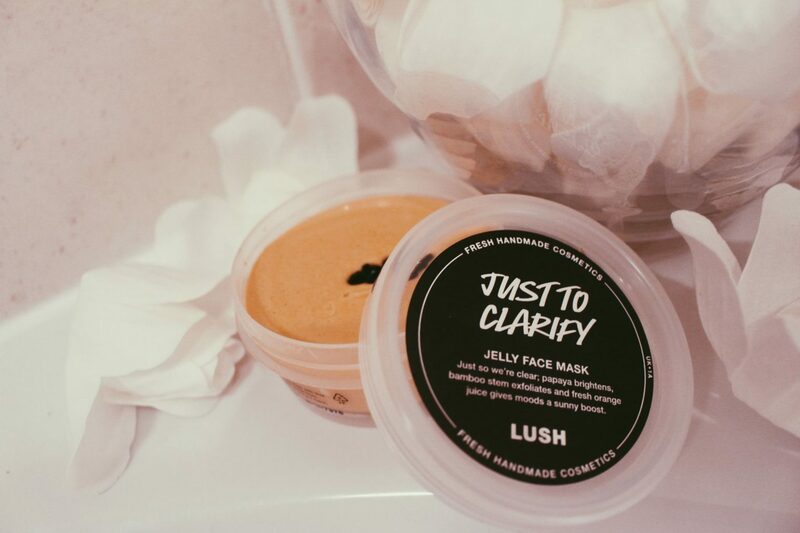 Suitable for all skin types, Ultrabland is a classic LUSH cleanser coveted by staff and customers alike for it’s effectiveness. Not so bland after all, is it? Now, let’s take a look at the product and packaging! 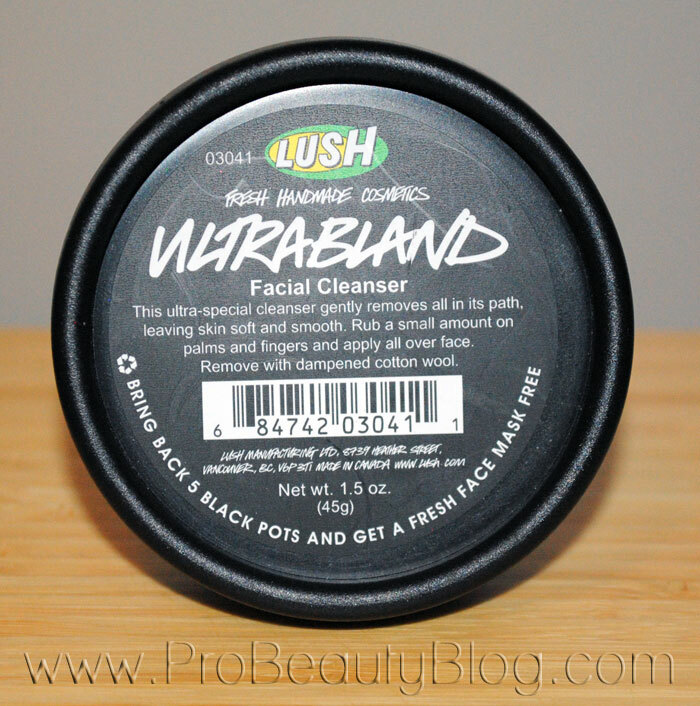 I have always been a big fan of LUSH skincare products. I love their approach to making every product feel like it was made by one person, just for you! They really spent time making their branding reflect this. The labeling is stuck on haphazardly and there is a sticker with a picture of the employee who made your product and on what date on each container. Very clever! I’ve never seen “mass-market handmade” executed so perfectly. 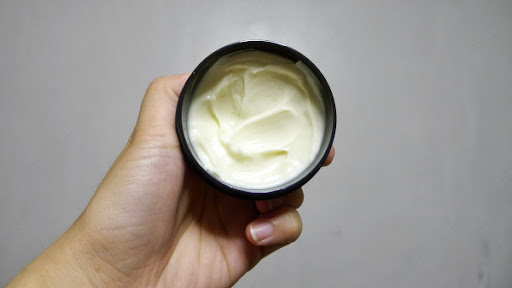 The emulsion of oils, honey, beeswax, and rosewater combine to make a creamy cleanser that feels luxurious on the skin. What I like best about this cleanser is its hydrating properties. In the western world, we have been conditioned to associate that “dry soapy” feeling with cleanliness. This is not so. Drying out the skin is the worst thing you can do it. This cleanser feels completely opposite of typical cleansers. It has the consistency of cake frosting and pudding mixed together (and smells like it too! ), and will not dry out your skin. Instead, the ingredients work to clean the skin and leave behind a barrier of moisture. To use it, you just scoop a small amount into your hand, rub it around on your fingers to loosen it a bit, then rub it all over your face. You then take a wet face towel, or cotton pads, and wipe it away. It works very similarly to cold creams, in that you don’t mix the cleanser with water. You apply it directly to your dry face and remove it with a wet towel. I love this cleanser and highly recommend it for EVERY skin type.